Order now for dispatch on Thu 25th Apr. 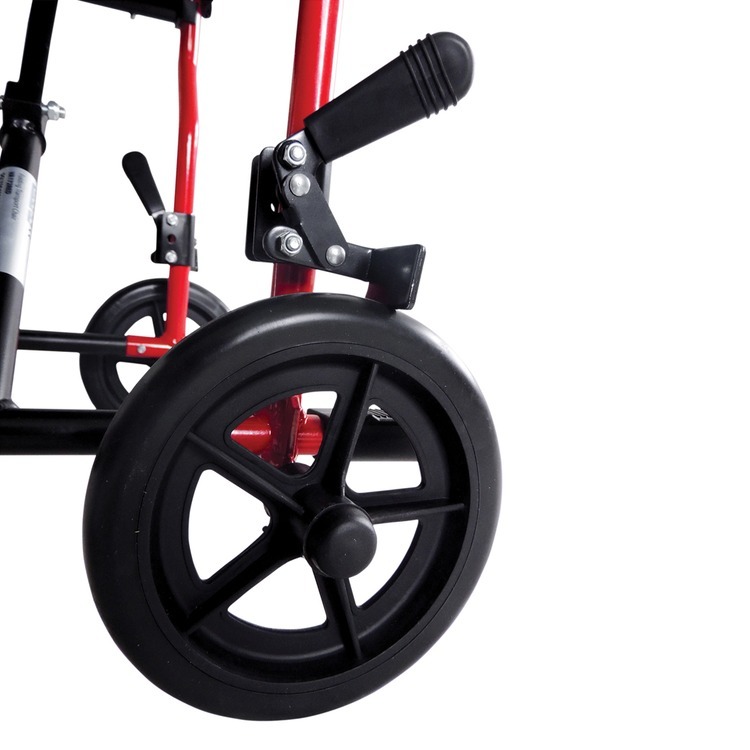 The Aidapt Aluminium Transport Wheelchair features an extremely compact and lightweight aluminium frame and is ideal for the occasional or first time user who wants a strong, reliable and easy to use wheelchair. Folds in seconds to go in the boot of your car, bus, coach or aeroplane. 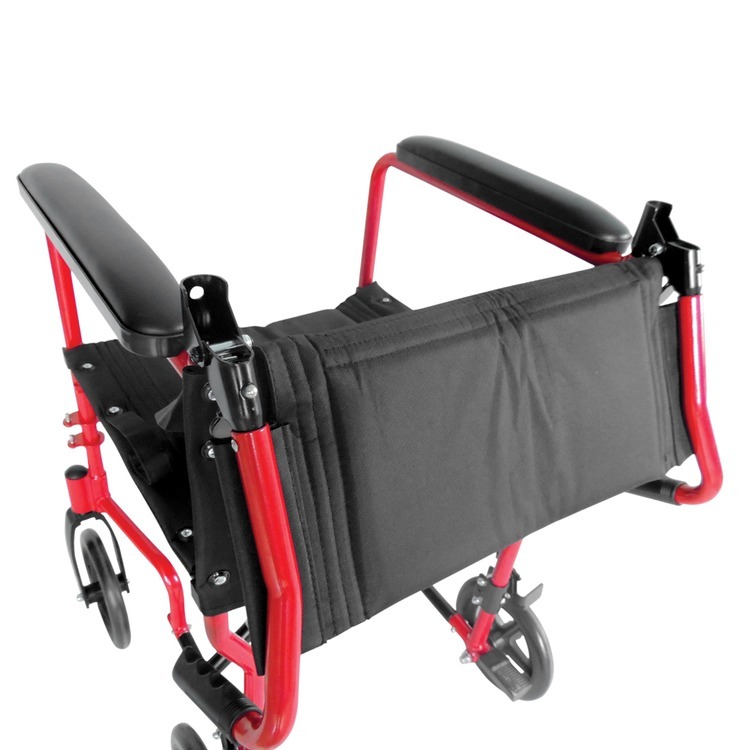 The backrest folds down to ensure a compact fit in your car boot. A seatbelt is also included for extra security.A handy carry bag is available to purchase separately. At just over 10kg in weight (including leg rests) it is light enough to be lifted in and out of a car boot with ease. Features include deluxe padded nylon upholstery, 19" wide seat, 8" front and rear puncture proof solid wheels, fixed padded PVC armrest for additional comfort, fold down back for easy storage, lap belt for safety, heel loops, parking brake for safety and swing away adjustable leg rests. Ideal for travel use weighing just over 10kg including footrests. 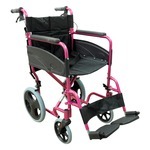 This deep pink compact transport aluminium wheelchair from aidapt features an extremely compact and lightweight aluminium frame. 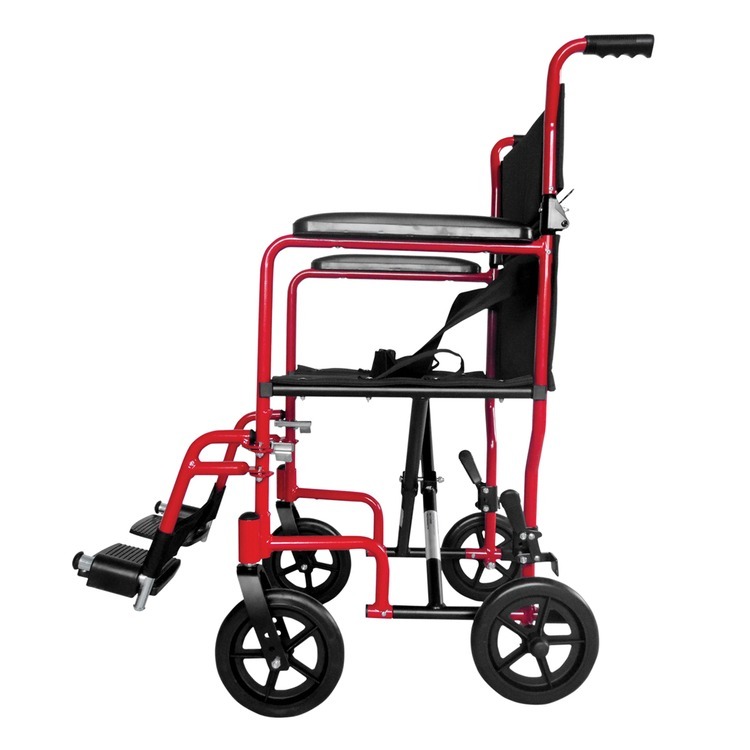 This wheelchair is ideal for the occasional or first time user who wants an easy to use wheelchair that will go anywhere and fold in seconds. 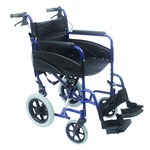 This blue compact transport aluminium wheelchair from aidapt features an extremely compact and lightweight aluminium frame. 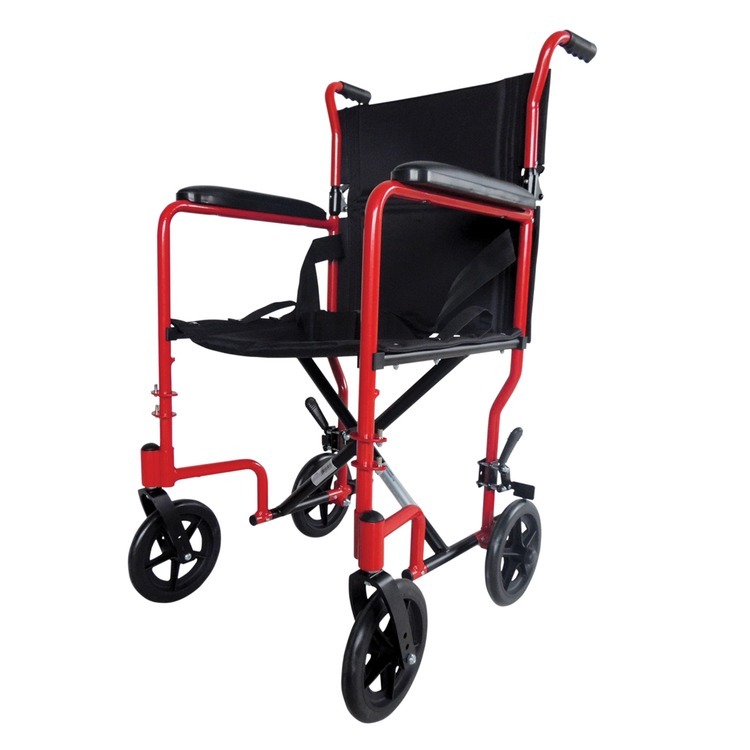 This wheelchair is ideal for the occasional or first time user who wants an easy to use wheelchair that will go anywhere and fold in seconds. This orange compact transport aluminium wheelchair from aidapt features an extremely compact and lightweight aluminium frame. 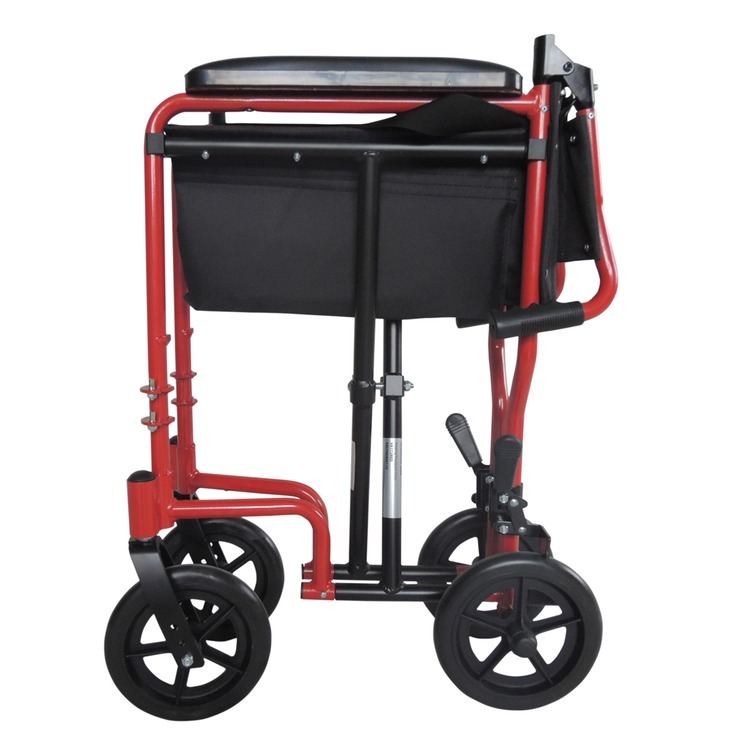 This wheelchair is ideal for the occasional or first time user who wants an easy to use wheelchair that will go anywhere and fold in seconds. 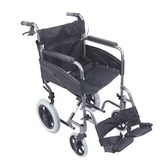 This compact transport aluminium wheelchair from aidapt features an extremely compact and lightweight aluminium frame. 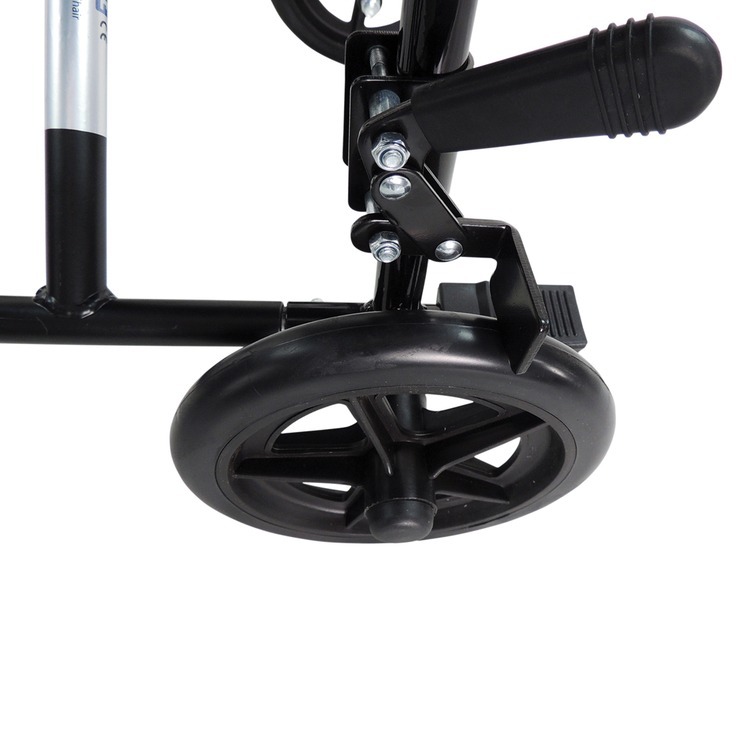 This wheelchair is ideal for the occasional or first time user who wants an easy to use wheelchair that will go anywhere and fold in seconds.